It's been four years since the Ontario Confederation of Clubs founding members met with our legal counsel, Jeffrey Chapnick, to discuss the creation of an organization which could effectively serve the needs of all members of the Ontario motorcycling community. A judicial, legislative, and intellectual coming together. In a short ten months we have grown to understand some of the competing interests in our community, many of which we have never understood before. Member clubs have been shown a second side of some very important issues, and we have learned to accept that there is another point of view, although we don't always agree with it. We've also come to realize and appreciate the dedicated, relentless, past efforts of many of our members and the same commitment they express for the future. We've debated the pros and cons of helmet use; public perceptions and how they were formed; civil liberties versus the public interest and how the infringement of the rights of some will affect us all; why we must protect our brothers and sisters if we are to protect ourselves. We've looked at the issues of motorcycle safety devices now so hotly debated in Europe. We've educated each other invaluable and in a way never before thought possible. I was surprised at how much we need to educate ourselves and prepare ourselves before we can even begin to tackle the important issues of mutual concern. While I've always believed that action speaks louder than words, the time we're taking to prepare and be properly informed is certainly worth it. Our strong international ties through the National Coalition of Motorcyclists, and the International Coalition of Motorcyclists have opened doors to issue and concern resolution, emanating from other Provinces, The United States, Britain, Ireland, Europe and Australia. The information, assistance, and networking available through these sources are overwhelming. The computer database alone is unbelievable and the annual convention which I've personally participated in, is awesome. I've heard comments and read the opinions of some members of the Ontario Road Riders Association, who believe that the OCC is an evil organization desiring the take over of motorcycling in Ontario. This is certainly not true and if you think about it, it's silly. The OCC was formed out of necessity. Simply put, O.R.R.A. discriminates against some members of the motorcycling community. Discrimination is exactly what the OCC is fighting against. Discrimination is based upon lack of knowledge, misinformation, self-interest, and the I feel it in my bones paranoia syndrome. It is difficult to educate the public about our sport/lifestyle/recreation/hobby/ or whatever you want to call it, when we aren't educated about ourselves. OCC members are educating themselves to the chagrin of those in our community who fears a diminution of their own falsely perceived personal importance. There are no big shots in the OCC, one club one vote. The 1% clubs represent a minority of our membership. Amongst ourselves we've dispelled some misconceptions and reinforced some old ideas, but we've not been so arrogant as to restrict our field of view. 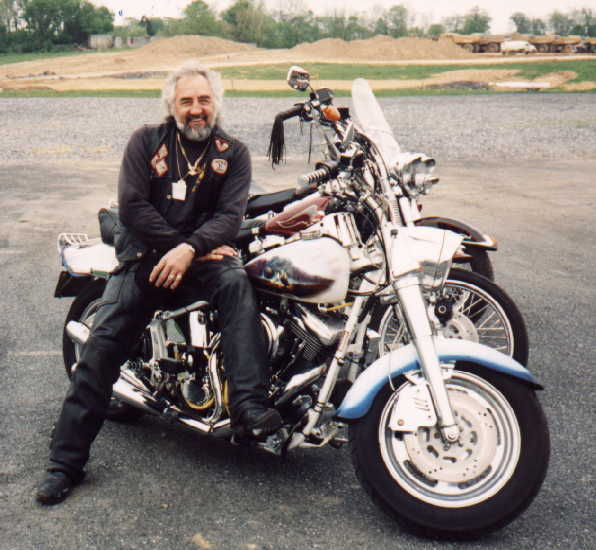 Allowing ALL motorcyclist to join the OCC through their own clubs does not promote motorcycle brand discrimination; criminal activity; religious persecution; racism; gender discrimination; or any other foolishness as alleged by some. It doesn't matter if your club is a member of something else, if you'd like to join us you'll certainly be warmly received. Having said all this I must also acknowledge that our organization is made up of many diverse clubs, associations, and organizations. Through it all, club business remains that, business personal to the club. OCC business, is the business common to all of our members. The OCC is here to support motorcycling in Ontario; it is not intended to be a club in itself. I've heard the comment from some non-member groups that, we don't have that problem, whatever the problem may be. This attitude appears to be based upon a general lack of understanding. The use of HOV lanes affects us all. Discrimination based upon our chosen mode of transport affects us all. Unfair insurance rates affect us all. Rider education affects us all. Public awareness of motorcyclists affects us all. The proposed safety device legislation advocating leg protectors and air bags for motorcyclists as now being promoted in Britain and Europe affects us all. Breaches of civil liberties affect us all; in fact a breach of anyones civil liberties affects everyone in a democratic society. How can YOU not have that problem?? YOU have the problem, you just aren't willing to stand up and say enough. It doesn't have to be the same old they'll do it to us anyway so why fight? Together we can make a difference. In every organization some people give that little or lot extra and others don't. That's OK. It's normal. It's expected. For those individuals that choose to actively contribute, we need you to step forward and make yourselves known to myself and to Ian Watson, our Secretary. We need help to cover all the important areas of concern. Any area you can help in, is an area we need help in. Organizing, lobbying, drafting, telephone work, fundraising, you name it we need help in it. Just get in touch with us. I extend my personal invitation to all Ontario motorcycle clubs, organizations, and associations to attend our meetings, talk to us, investigate us, and join with us. No matter what make or size of motorcycle your group fayours; if you're a brother or a sister; black or white; if you wear a full face helmet or none at all; if you?re interested in the betterment of motorcycling in Ontario, we're interested in you.